Meet the fantastic undergraduates working on All About Linguistics! I am a second year English Language and Literature student who is particularly interested in the areas of phonetics and stylistics. I enjoy learning how language can be manipulated to achieve particular outcomes, such as to draw emotion or persuade those it addresses, and the particular linguistic devices that help to achieve this. Outside of study, I volunteer at Sheffield Children’s Hospital, helping to run an arts and crafts group. I’m also a massive Pretty Little Liars fan. I am a third year English Language and Linguistics student. I am undertaking my undergraduate dissertation in the field of Language and Gender (Sociolinguistics), and I also have an interest in the areas of Language Acquisition, Constructed Languages, and Syntax. I plan to continue my studies to MA, and hopefully PhD level. Outside of uni, my hobbies include DIY and crafts, boardgames, videogames and generally most nerdy things. I am a second-year English Language and Linguistics student with a particular interest in the areas of Language Acquisition and Sociolinguistics. Recently, I have been offered the role as a website design manager based on current research by Emma Moore and Sarah Spencer looking at language, identity and place in The Manor, Sheffield. This will also give me the opportunity to engage in further research in the project, focusing on teachers perceptions of children’s language skills. I am a second-year English Language and Literature student, and am particularly interested in how we can study the use of syntax and lexical choices in the speech of people of power (such as politicians) to discover their true meanings and opinions. Equally I feel that studying Linguistics alongside Literature helps me to dissect the finer details of novels and poetry. Outside of study I am a Grade 7 Pianist and I have played for 10 years. I’m a third-year Artificial Intelligence and Computer Science student with lofty goals of a PhD. Academically, my main interest is in biological approaches to machine learning. Outside of university, I’m either reading, baking or generally not leaving the house. It’s a good life. So far in my undergraduate degree, I have been particularly interested in Syntax and Language Change. As an international student, I am also interested in Bilingualism and its implications for Language Acquisition and Language Teaching. I have been a course rep and a student ambassador in the School of English, and I also volunteer once a week in Broomhall Homework Club. Lastly, I enjoy performing arts and, during my time at university, I joined the Performing Arts society and took part in two shows with them: Cabaret and Footloose. I am a third-year English Language and Linguistics student. My academic areas of interest are Syntax and Language Acquisition, and I am currently exploring these topics for my final year dissertation. When I am not studying I also enjoy spending time with my horse. I’m a second-year English Language and Linguistics student, and the areas of linguistics I am particularly interested in are Syntax, First Language Acquisition and Language Change, especially how children can bring about syntactic change. 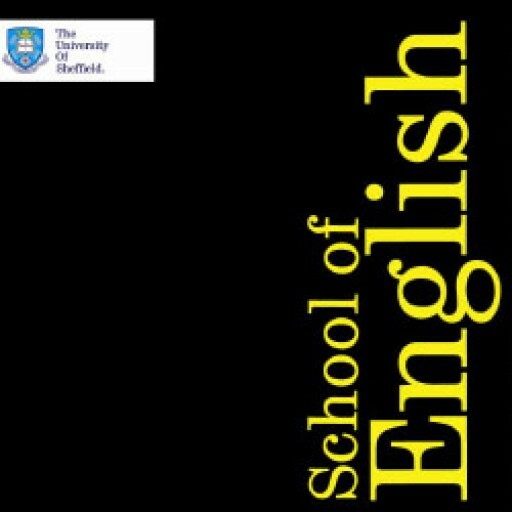 I’m involved in the Sheffield Mentors programme which helps first year students settle into university, as well as being a Student Ambassador for the School of English. I’m also a die-hard Game of Thrones and Red Hot Chili Peppers fan!